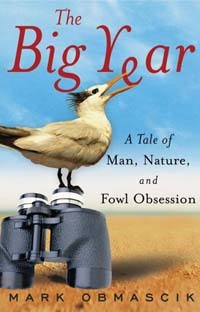 Copies of The Big Year: A Tale of Man, Nature, and Fowl Obsession by Mark Obmascik are available to borrow from the Pollard Memorial Library. Start a book discussion of your own with your friends, family, neighbors, or co-workers. Filmmaker Luc Jacquet spent over a year braving the frigid temperatures of the South Pole to film this annual ritual of the penguins, and this film documents their brave struggle to survive, as well as the close emotional bonds between the penguin families. (2005) Rated G | 85 min. Naturalist and Educator, John Root will be giving his acclaimed lecture on songbirds of the Northeast with a special emphasis on urban dwellers. The role of song in these bird’s lives as well as their diet, social behavior, and other adaptations for survival are discussed. Participants also learn how to provide attractive habitat for songbirds. Nature photographer Brooks Matthewson will discuss the basics of bird photography in the library. Then we’ll take a short nature walk along the Merrimack to practice these concepts in the field. Photographers of all levels are welcome! Please bring your own equipment and wear comfortable shoes! Jeffrey Kimball’s documentary reveals the extraordinary array of wild birds who grace Manhattan’s celebrated patch of green and the equally colorful, full-of-attitude New Yorkers who schedule their lives around the rhythms of migration. (2012) NotRated | 59 min. Join us for opening reception for the exhibit “A Poet in Lowell” (September-October 2014 | Ground Floor Lobby)in tribute to Lawrence Carradini, Lowell poet, who died May 1, 2014. Readings by Meg Smith, Ala Khaki, Jim Dunn & Tony Sampas. Free admission. Refreshments provided. A social worker takes Big Bird away from Sesame Street to live with a family of birds in Illinois. Unhappy with his new life, Big Bird hitchhikes his way back home. Over the course of his journey he meets a number of odd and charming characters (1985) Rated G | 88 min.